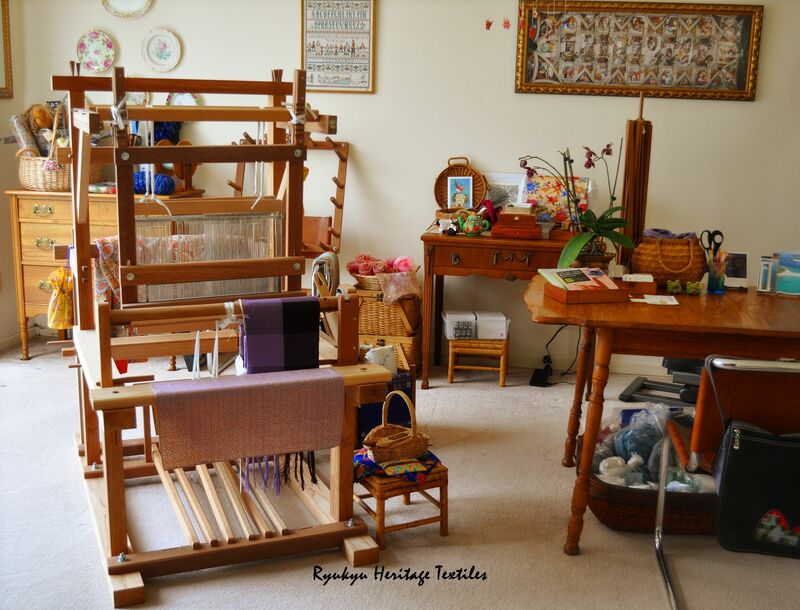 My studios are located in Houston, TX and Anchorage, AK USA…although i live far away from my homeland, i am at home here with my assortment of floor looms (including my Okinawan High Loom), natural fibers, natural dyes and dye gardens. My studios are special places where i work on applying the knowledge passed down to me from 3 generations of Ryukyu family textile artists…some of my work is traditional…often a spiritual and textural creation for my ancestors…and, sometimes my work is non-traditional thus reflecting my own individual artistic evolution and style. Welcome friends to my studio(s). Yes, I really enjoy my studio–it inspires me! Thank you for visiting my website! Hello Elisabeth, Peace be with you friend. Thank you for visiting my website and studio!